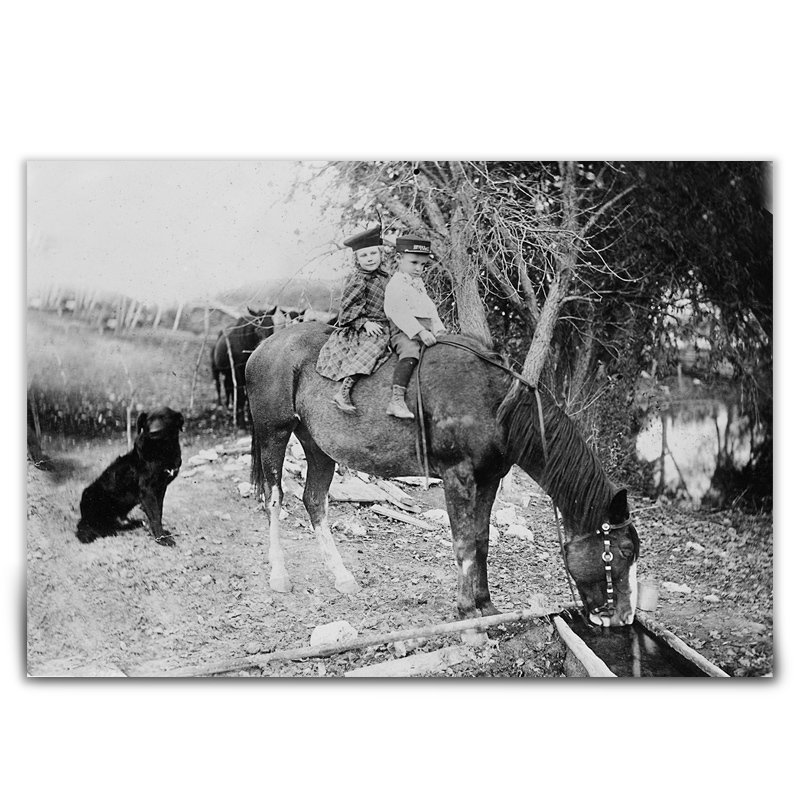 Photographer Francis M. Steele captured this image of a boy and a girl riding a horse that is drinking from a water trough in Meade, Kansas, in 1896. A dog and several other horses are also visible. From the collections of the Kansas Historical Society, the print was produced for the Kansas Historical Foundation.